Are you buying cryptocurrencies? Every day we all watch news talking about cryptocurrencies and bitcoins and how people are getting rich. Early investors, billionaires, startups, everything seems to be related to a cryptocurrency, but why? We all are living in turbulent times, the ages of a technological revolution which is turning everything upside down. Well, cryptocurrencies such as bitcoin or Ethereum are the face of this revolution. Today we will talk about cryptocurrencies, bitcoin, altcoins, blockchain and how you can take profit from this revolution. Do you want to trade bitcoins? So, read. Essential things first. What is a cryptocurrency? A cryptocurrency is a digital asset that can be safely exchanged in real time between two persons who are in different places in the world. No central power such as a traditional financial institution or central bank is involved, but all the information is shared and stored in blocks that all together form a chain around the world. The blockchain. So it is decentralized. The first successfully implemented cryptocurrency was the Bitcoin, a virtual coin created in 2009 by a person, or a group of people called Satoshi Nakamoto. Nobody knows who Satoshi is. So, Bitcoin is the cryptocurrency for antonomasia. But why are there so many cryptocurrencies? Cryptocurrencies created after bitcoins are commonly called altcoins by the market. Altcoin stands for “alternative to Bitcoin” and have been built as attempts to improve the bitcoin structure or to modify it to give it a specific focus. Each altcoin has different cryptography specifications as well as monetary policy rules to encourage different usages. Finally, cryptocurrencies are not the structure or technology, but the face of a specific ecosystem and it represents the value people believe the platform has. For instance, bitcoin represents the blockchain itself, but Ether is the token of the Ethereum ecosystem, and LTC is the same of the Litecoin structure. Are these assets undervalued cryptocurrencies? No, because every platform has a specific focus and answers to particular requirements. They have their own business and the altcoin associated is just the face of that. What is the value of a cryptocurrency? Whatever the market thinks it should be. After knowing the difference between bitcoins and altcoins, let’s talk about the top cryptocurrencies in the market. As mentioned above, Bitcoin was the first globally implemented digital currency with success. It is the most popular and liquid market in the cryptocurrency industry. Created in 2009 after Satoshi’s bitcoin paper, “A Peer-to-Peer Electronic Cash System,” bitcoin creation will stop at 21 million bitcoins. No more. Currently, there are over 17 million BTC on the market, 80% of the total allowed supply. Bitcoin market capitalization is over $71 billion. Its all-time was $20,089 reached on December 17, 2017, and its historical low is $65.53, traded on July 5, 2013. Ethereum is a decentralized ecosystem that provides better structures for smart contracts and DApps. Launched on July 30, 2015, There are 105 million of ETH, and has a market capitalization of $14.7 billion. All-time high is $1,432.88 on January 13, 2018. Minimum is $0.4208 of October 21, 2015. As Bitcoin is the crypto gold, Litecoin is called the silver of crypto assets, the “silver to Bitcoin’s gold.” As one of the first altcoins, LTC came to life in 2011 and it provides a faster block generation and a transaction confirmation. Litecoin market cap is $3.7 billion. All time high at $375.29 on December 19, 2017, minimum at $1.11 on January 14, 2015. Ripple is a global settlement network for low-cost payments in real time. It was launched in 2012 and has a wide acceptance within banks and financial institutions. Mark cap is $12.9 billion; its maximum is $3.48 reached on January 4, 2018, while its all-time low is 0.0028 on July 7, 2014. Cryptocurrency trading is the art of buying and selling cryptos to make profits. There are two options to purchase or to exchange cryptocurrencies. One is to buy the real cryptocurrency and store it. The other is to trade representation of the digital asset and to make money with the difference between opening and closing prices. You can buy and sell cryptocurrencies in a designated exchange facility as well as a crypto provider. Every day more venues easily offer cryptocurrencies, you can even purchase cryptocurrencies in ATMs in some states of the United States and in tabac stores in France. If you buy a cryptocurrency, you will need a wallet to store it. Be sure to choose a safe wallet, either it is a hot or a cold wallet. When trading cryptocurrency as CDF, you will buy cryptos as speculation that prices will go up for natural development in crypto, or if you think it is an undervalued cryptocurrency. It also happens in short trading. You are going to sell cryptos if you think it is an overpriced cryptocurrency. Your profits will come from the difference between opening and closing prices. For instance, also your losses. It is how to trade cryptocurrencies. 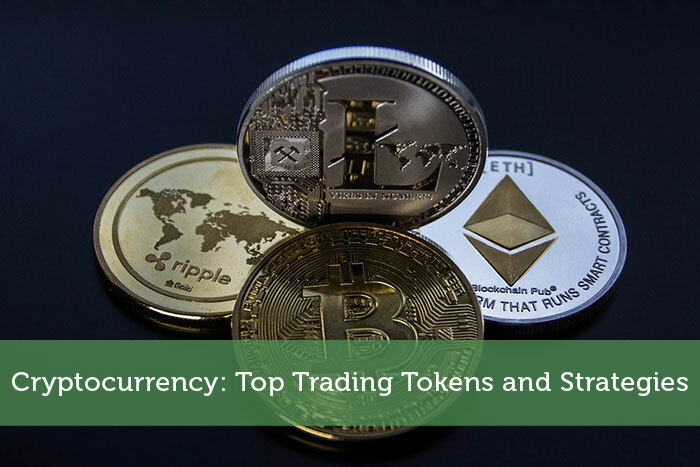 When it comes to trading cryptocurrencies, there are different strategies that you can put in place. What is the best strategy for cryptocurrency trading? Let’s talk about three interesting ideas: Cryptocurrency arbitrage, scalping, and trend contrarian. Scalping is the strategy where a day trader makes profits of small price movements when he opens and closed positions quickly. It requires a highly volatile market, so cryptocurrency is a perfect match. The Contrarian strategy believes that everything that goes up should come down eventually, and vice versa. So, the contrarian trader looks for overbought or oversold situations, support and resistance levels, and short term technical studies. It is a good strategy for crypto traders for the violence of movements in the market. Cryptocurrency arbitrage is the art of finding different prices for the same asset in more than one place. So, you can buy cryptos in one place and sell it in another, or vice-versa. So you will make gains from the price difference. To do cryptocurrency arbitrage, you will need multiple accounts in different brokers or exchanges. The answer should come from you. You know yourself better than anyone, so you will see if you are willing to learn everything about trading cryptocurrencies. Trading responsible is always a good thing, cryptocurrencies provide many opportunities, and you will be able to make a bunch of money. So, go ahead and try, but be responsible and do your homework first.